Peaceful holidays: If you’re after peace and relaxation in an idyllic setting, then Juan Dolio holidays are for you. There aren’t many activities here, but then that’s not really the point of having holidays here. It’s all about enjoying the luxuries of all inclusive holidays in the local hotels, lapping up the white beach and relaxing in the warm, tropical weather. Guavaberry Golf & Country Club: This modern, sprawling course is over 7,000 yards in total and weighs in at a 72 par challenge. The 700 Corozo palm trees planted on the course are native only to this area. And of course, who could forget, there are a number of guavaberry trees scattered around some of the holes too! Golfing holidays here are even more convenient if you have all inclusive holidays at the nearby Hilton hotel - it’s mere minutes away. Go Kart Bahn: This high-octane go kart course offers lots of fun and thrills on family holidays here. The karts are available to in a number of speeds to suit beginners, children and adults alike. Tropical Plantation: This lush botanical garden is just a little north from Juan Dolio holidays. You’ll see acres of verdant jungle, huge palm trees and sweet-smelling flowers. It’s at parks such as these that you’ll really discover the natural beauty of holidays in the Dominican Republic. Juan Dolio Beach: Here’s the real attraction of Juan Dolio holidays - the glorious beach! Considered one of the best beaches in all of the Dominican Republic, the sand here is incredibly fine and soft. It’s actually tiny fragments of soft coral, which gives it its delicate milky white colour. This enticing shoreline leads to bright turquoise waters which are wonderfully whirlpool warm. You even have some shade created naturally for you by the many towering palm trees which line the edge of the sand. Le Meson: Much of the cuisine on Juan Dolio holidays will be catered for in whatever all inclusive hotel you’re staying at in the resort. Luckily, the hotels make full use of the area’s great local ingredients, just as this restaurant Le Meson does. With fantastic fish dishes, including huge paella, you should certainly check out this eatery, even if you’re having all inclusive holidays here. Aura: This exclusive beachfront restaurant is just as attractive as a bar as it is as an eatery. The plush white sofas and beds (yes, even beds!) face the shimmering ocean, and expect to be served luxurious fresh fish dishes and lots of inventive tropical cocktails for a very relaxing experience on your holidays in Juan Dolio. All inclusive drinks: In much the same fashion as the dining, most of the drinking you do on Juan Dolio holidays will be based around whichever hotel you’re having all inclusive holidays at. Luckily, the evening entertainment they provide is often great fun, and the hotel staff serve a huge range of cool cocktails perfect for balmy nights spent in the Dominican Republic. 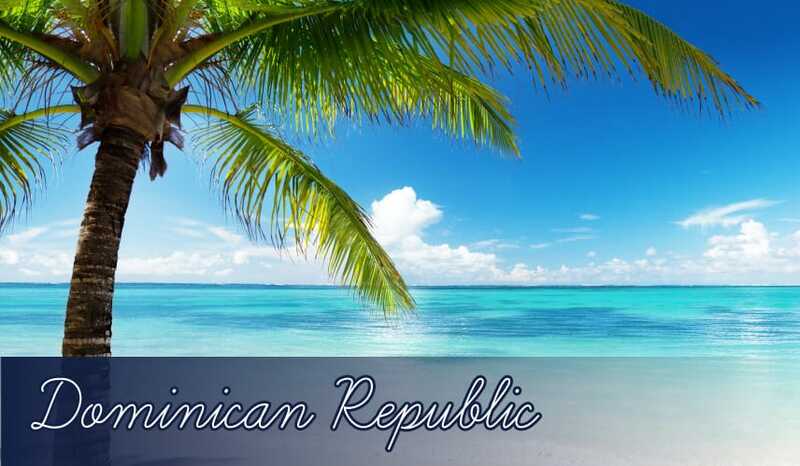 The country also has a penchant for casinos, and on Juan Dolio holidays these are provided by the hotels, with both Coral Costa Caribe and Barcelo Decameron having full size casinos within their grounds. Street stalls: Juan Dolio holidays don’t offer many shops selling famous international brands and designer clothes, but you will come across street stalls where it’s possible to pick up some authentic items at cheap prices. The souvenirs you can buy here include amber jewellery, rum, handmade cigars and fresh coffee. So keep a look out for these locally produced items as they’ll make great gifts for bringing back from your holidays in Dominican Republic.